Crossing boundaries has been a constant feature in Steven’s life story: from rural to urban and Mormon to Unitarian, from university professor of religious studies and history to parish ministry, from US citizen to Vancouver resident. There have been constants as well: an obsession for learning, a passion for great music (from Bach to Shostakovich to Radiohead), a commitment to social justice, and a crazy love for his partner Diana and their four children. He knows how to darn socks, clean a bathroom, read good stories out loud at bedtime, and shingle a roof. He wants to see religion work and be real – for it to deepen our spiritual and ethical lives and lead us to serve others and, by so doing, find our better selves. A community minister is one who has chosen to build community by working in the community rather than in a parish church. There are four community ministries in Canada, of which two are in the greater Vancouver area. Community ministry is about taking the values, principles, experience, questioning, and thoughtfulness of Unitarian Universalism and moving outside of the walls of the church. Community ministers work wherever they are passionate – in hospitals as chaplains, building community gardens, working for legislative change, building a peace movement, running a homeless shelter… the possibilities are as diverse as the people in our congregations. Unitarians have a rich history of community ministry. One of Vancouver’s community ministers is Reverend Laura Imayoshi. Rev. Laura Imayoshi has worked with this congregation since 2004, and was ordained here in 2007. Her ministry is about creating meaningful connections between people. 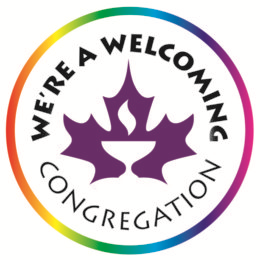 She serves in the Downtown Eastside of Vancouver, working to build bridges of sharing and understanding between the Downtown Eastside and the Unitarian Church of Vancouver. Rev. Imayoshi’s ministry has been formally endorsed by the Unitarian Church of Vancouver but she is not paid or employed by the church. Rev. 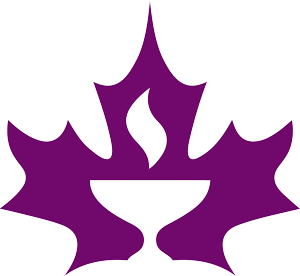 Imayoshi was raised attending the Unitarian Church of Vancouver. She did her undergraduate work in Religious Studies at UBC and her post graduate work at Starr King School for the Ministry in Berkeley, California. Laura trained extensively with the Faithful Fools, an interfaith street ministry in San Francisco. She brought their humour, wisdom and inspiration to Vancouver to start serving in the streets as a Unitarian community minister.